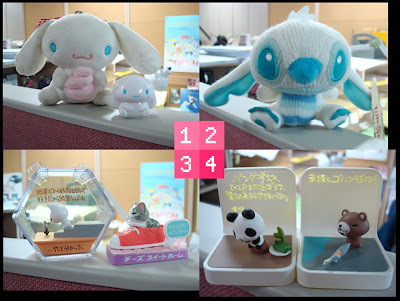 It's another Monday and time for another, "What's on your desk?". This week we feature Kim Jeong Eun. 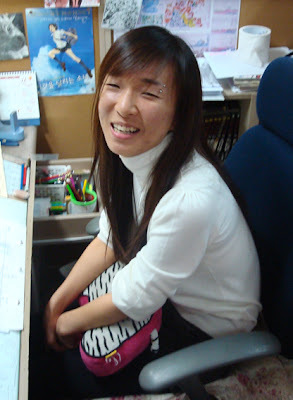 Jeong Eun is a key animator. 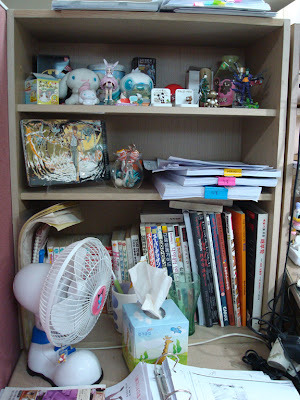 Therefore, she needs lots of space to put her work and reference materials. And, of course, she needs room for her toy companions as well. She has so much stuff at her desk that we'll just focus on the toys on that top shelf. Jeong Eun is kind of shy and likes cute things a lot. Tell her 'hi' in the comments section and I'll make sure she sees it. 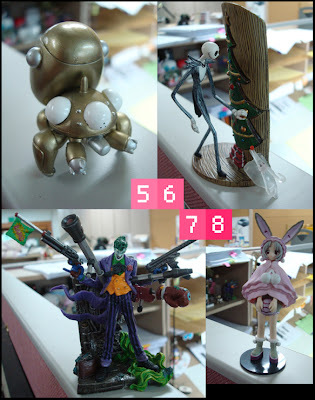 Labels: Kim Jeong Eun, people, toys, What's on your desk? That little gold Tachikoma figure is so cool... And it's nice to see the poster for The Girl Who Leapt Through Time! Is that what that robot's called. I never knew. Thanks!